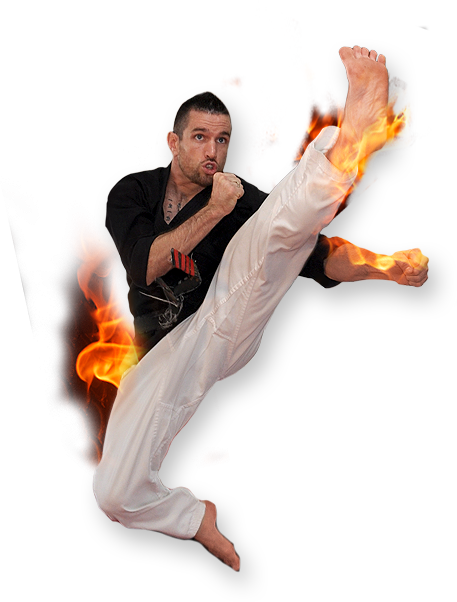 Amerikick is nationally recognized for its great martial arts, marketing and advertising techniques. Amerikick is constantly striving to aid in the success of the franchise school owners by staying up to date with the latest technology and marketing tools. Amerikick is on the forefront when it comes to success in the martial arts industry and for good reason. Our strategies are new, fresh and geared specifically to the success of our school owners. When you become an Amerikick school owner, our team will devise a structured marketing plan specifically for your school. In addition you will have access to ready made marketing and advertising materials and promotions. We use a combination of different techniques and strategies from low cost in-house marketing to high visibility advertising. Some of these techniques include lead prospecting, fundraisers, community events, network advertising, internet marketing, print advertising, local and national commercials, email campaigns, direct mail, cold call center, and much more. As a franchise school owner you will have access to digital ad slicks for all Amerikick specific target markets. Seasonal ad campaigns such as “Back to School” and “New Years” ads are completely designed and ready for your location to the be the most effective in drawing new prospects. Post card mailers, door hangers, flyers, guest passes and posters are all ready and at your disposal. You will learn when to advertise, where to advertise and how to secure the best pricing to maximize results. different, ordering is as easy as point and click. When competing with soccer, baseball and other school sponsored activities, it is important to move quickly with effective marketing proven to increase enrollment. The Amerikick Promotion Packs do just that. All ads are stored in our on-line library. You can count on easy access to highly targeted and effective materials that will satisfy your advertising needs. Amerikick Easy Packs are an economical and easy way to make promotions a key part of growing your business. Amerikick’s library of commercials will be available to you for the most effective means of paid advertising in your area. These commercials are designed for specific markets such as children, young adults and moms. Easy templates will enable you to quickly create an advertising campaign for your demographic area. Amerikick has a wide variety of marketing & promotional materials for your use in lead generation & lead prospecting. From the Amerikick newsletter to the Amerikick Call center, Amerikick will help you market your locations. Amerikick will give you the tools to achieve the most results with ad campaigns, low cost marketing, income generators, in house promotions, referral programs, special events, student retention and more. The Amerikick call center is a low cost method of lead generation. Our call center is made up from a team of sales professionals that specialize in martial arts related sales. Our team will generate quality leads in your area, segmented by population, age, household income and more. They will make the calls and book the appointments for you at your location. Mailers. From postcards to half page and full page flyers! Signs, posters, real estate signs, A frame signs. and to gain free publicity. and how to get the most exposure from it. tool as well as a lead generator. Press releases for your local community. class and kidnap prevention seminars.